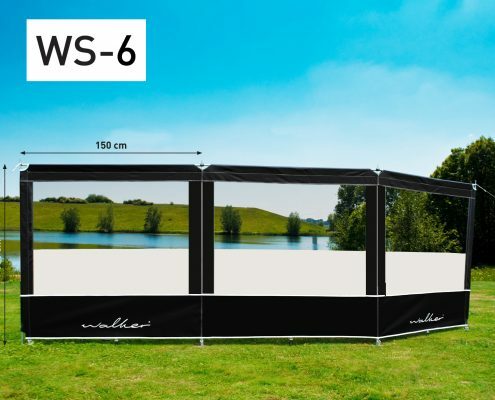 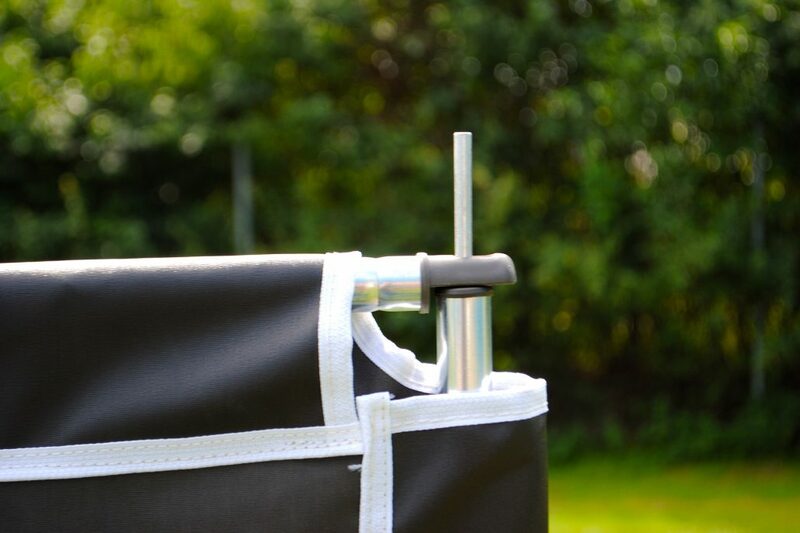 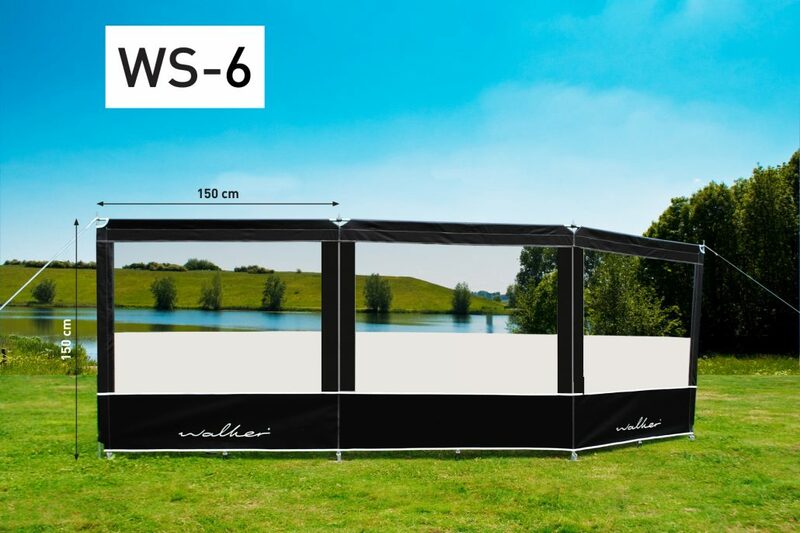 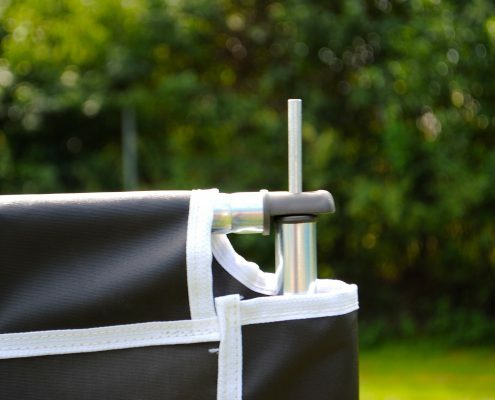 Walker Windbreaks: easy to setup and very stable. 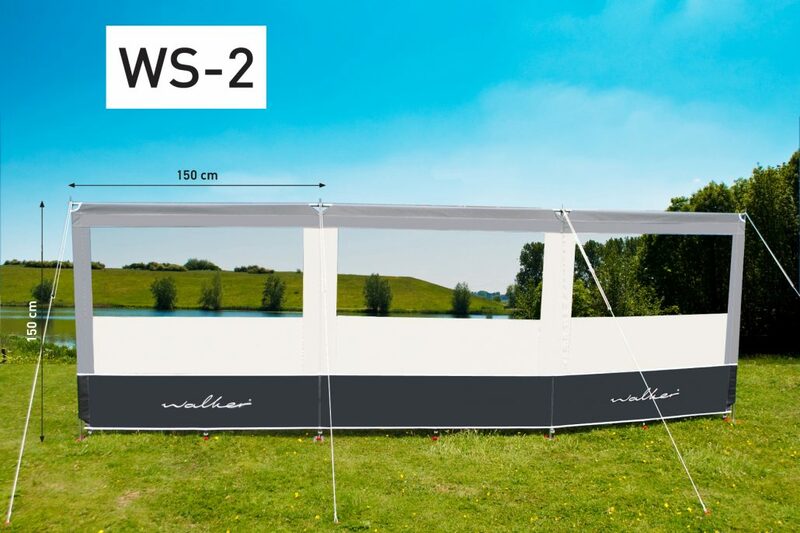 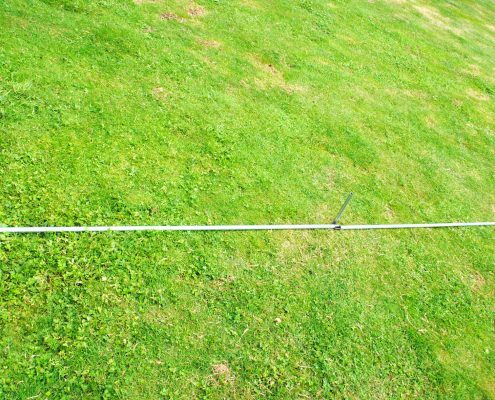 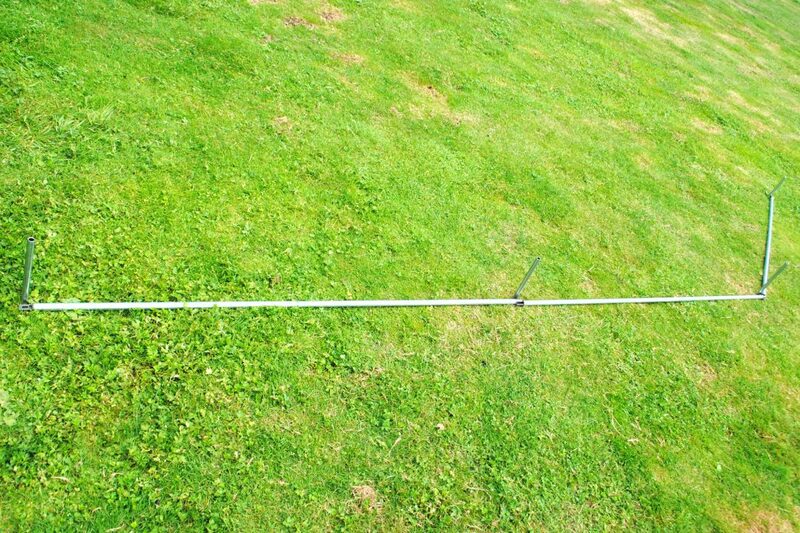 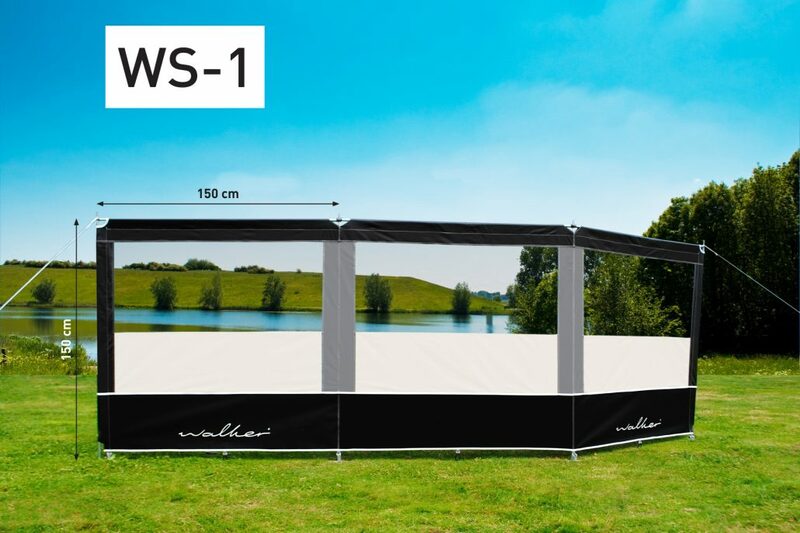 Walker windbreaks are supplied as standard with window, steel frame, guy ropes, pegs and Easy-Set-Up frame. 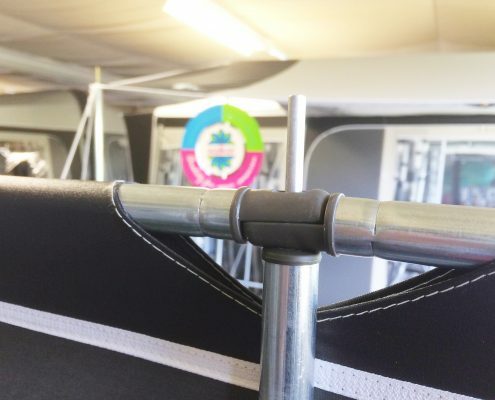 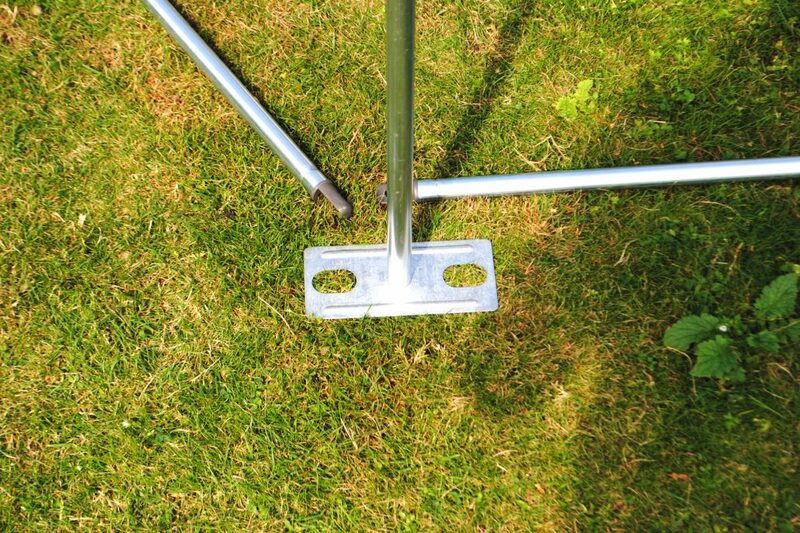 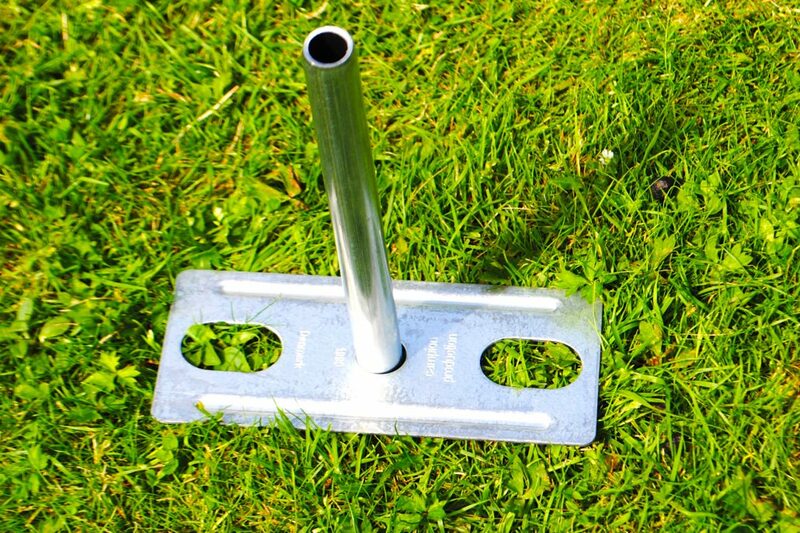 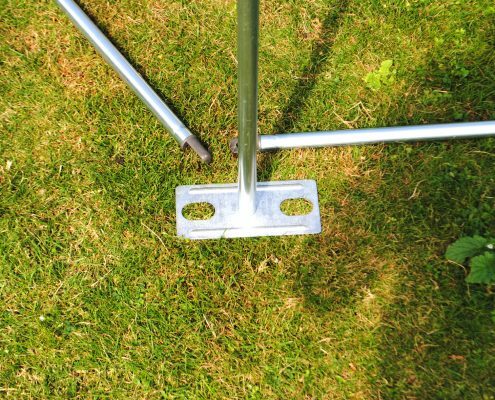 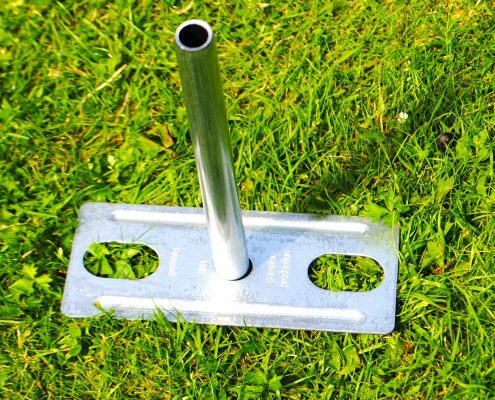 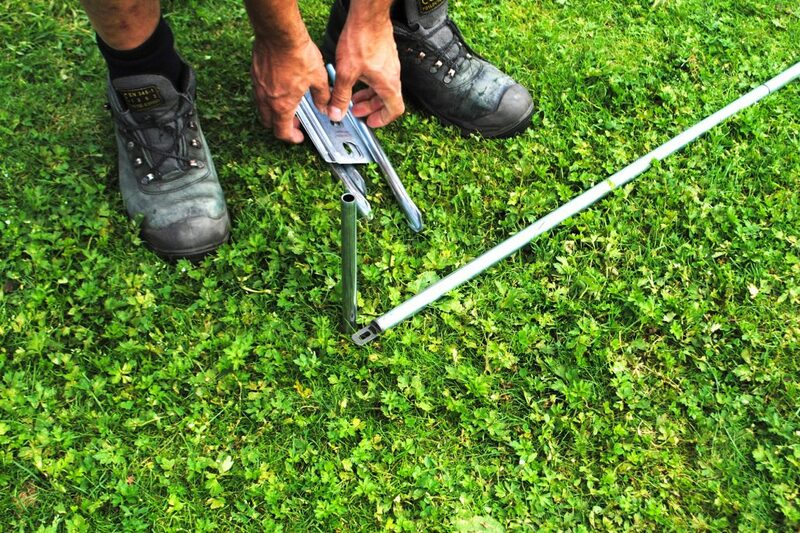 The Easy-Set-Up frame, which consists of loose pins and footplates, makes the windbreak easy to set up and provides full stability. 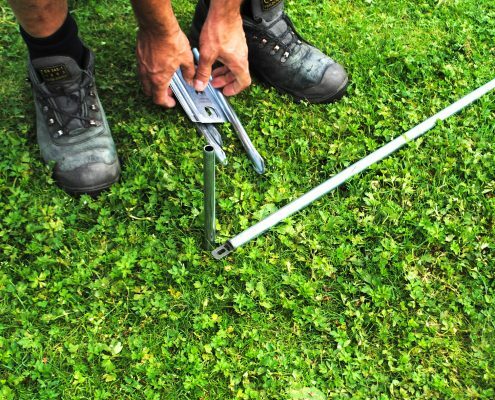 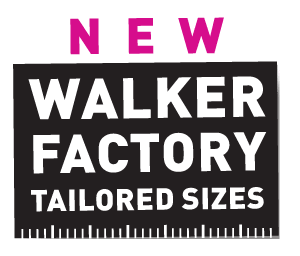 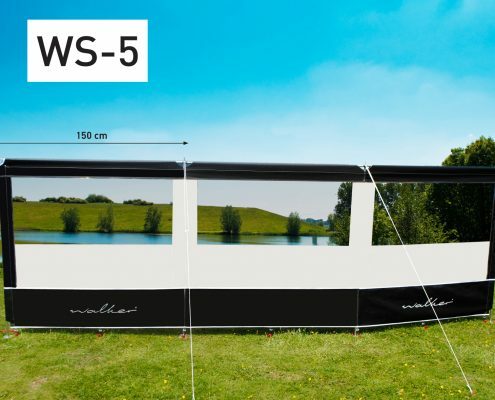 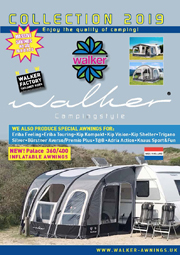 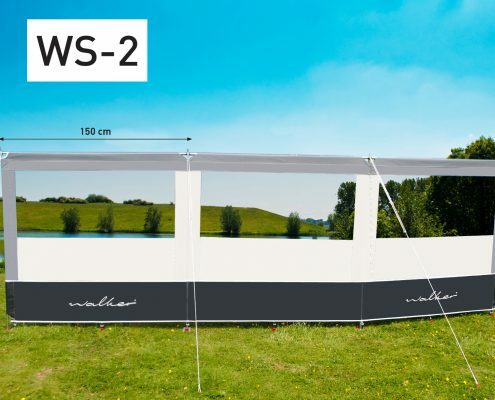 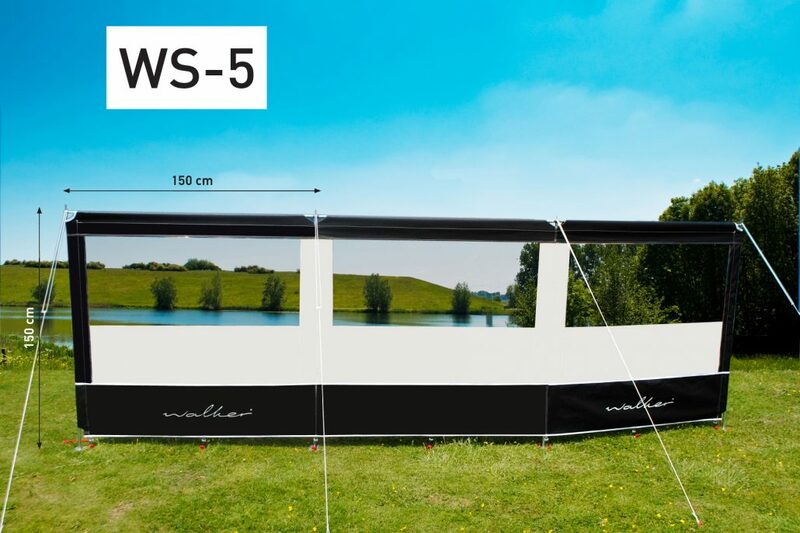 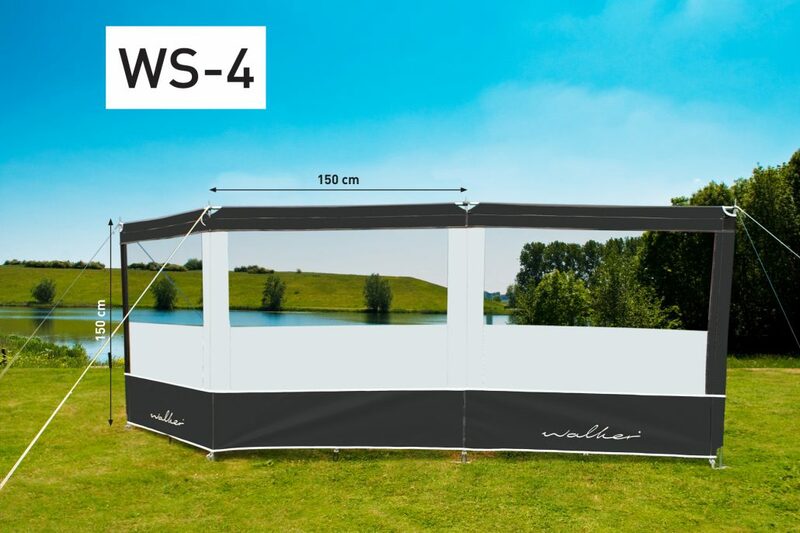 The Walker windbreaks are 3-part; the dimensions are 150 x 150 cm per part. 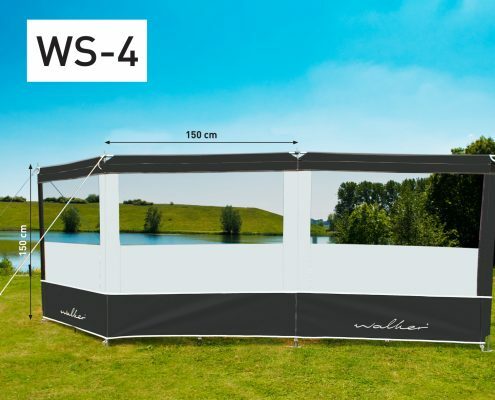 Because of this height of 150 cm you are always well sheltered behind the windbreak.